Resource includes a brief description of the differences between the northern and southern economies prior to the Civil War. 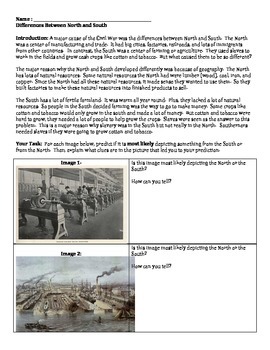 Students then analyze six images, explaining why they are images of either the north or the south. Great for struggling learners and lower grades, or as a differentiated assignment.